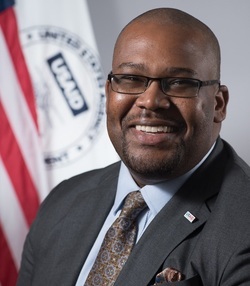 I am a Foreign Service Engineering Officer at the United States Agency for International Development (USAID) serving in Haiti. My engineering work at USAID/Haiti involves the development and deployment of climate resilient infrastructure, WASH solutions, clean energy systems, and gender integration strategies to support low-carbon economic growth and climate-smart agriculture, and construction risk mitigation. Within USAID/Haiti, I lead a team which concentrates on (1) housing rehabilitation, (2) improving economic recovery through training youth in reconstruction activities, and (3) the incorporation of Disaster Risk Reduction (DRR) policies to reduce the vulnerability of households to extreme weather events and reduce the risk of cholera. Prior to my current position at USAID/Haiti, I was a Senior Energy Engineering Advisor within USAID’s Office of Energy & Infrastructure (2013-2017) where I lead the Powering Agriculture: An Energy Grand Challenge for Development initiative which focused on accelerating the development and deployment of clean energy solutions and business models for increasing agriculture productivity and/or value in developing countries for farmers and agribusinesses. Prior to joining USAID in 2013, I was a Millennium Challenge Corporation (MCC) Science, Technology, & Innovation Fellow focused on the design and implementation of mini- and micro-grids to aid the expansion of modern electricity services in six Sub Saharan African countries: (1) Sierra Leone, (2) Liberia, (3) Ghana, (4) Benin, (5) Tanzania, and (6) Malawi. Prior to joining MCC, I was a Christine Mirzayan Science & Technology Policy Graduate Fellow and a J. Herbert Hollomon Fellow at The National Academies that focused on engineering education and the application of system engineering to peace building initiatives as a fellow in the Program Office of the National Academy of Engineering. I hold a B.S. in Mechanical Engineering from Alabama A&M University, a M.S. in Mechanical Engineering from the University of California, Berkeley, and a PhD in Mechanical Engineering from the University of California, Berkeley. I am also the co-founder of the Community Assessment of Renewable Energy & Sustainability (CARES) organization & an alumnus the Berkeley Energy and Sustainable Technologies (BEST) Design Laboratory headed by Dr. Alice Agogino. My engineering and research focus areas include power sector reform, decentralized electricity systems, sustainability, engineering education, climate change mitigation, clean energy, energy science policy, energy poverty reduction, life cycle assessment, public engagement with science, design theory, indigenous knowledge, co-production of knowledge, social studies of science and technology, community based design and user needs assessment. My doctoral research involved a co-design theory for the identification and incorporation of social performance metrics for the design and implementation of energy and water efficient housing and renewable energy power systems for power generation within Native American communities.